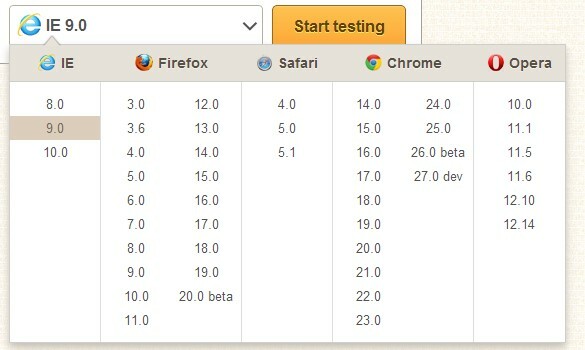 Testing across browsers is something that web developers just have to do. There is no way around it. Browsers have improved considerably since the age old days of IE 5.5, but there are still differences between how some browsers choose to render a page – worse still, sometimes a specific combination of browser and scripting technology can completely change how something functions. Created by the good people at StackExchange and endorsed by Microsoft themselves over at www.modern.ie (where you can get a 3 month free trial, for a limited time), BrowserStack is a paid monthly service that allows you to fully interact with hosted instances of all major browsers: Internet Explorer 6 and up, Chrome, Firefox, Safari and Opera on all platforms, including Mac and even smart phones. 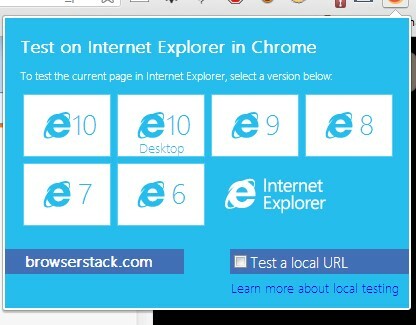 And it’s not emulation like the compatibility mode options available in IE. It works by utilising a combination of browser Java plugin and Adobe Flash, and by spinning up remote virtual machines as required. It is really no different to using VNC or Remote Desktop into another computer. The included browsers even have Firebug installed for debugging any issues that arise. The best part? 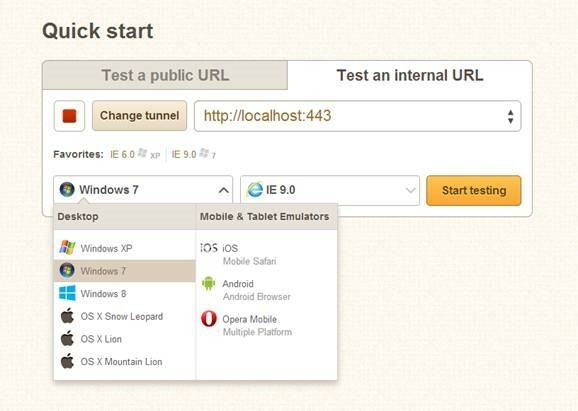 By creating a tunnel to your machine (all done through the interface), you can test your local websites. No need to deploy anything to a staging server! Browser options differ depending on the operating system chosen – to test IE6 you spin up a Windows XP virtual machine, or Safari on a true Mac OS X install. So what’s the cost? Very reasonable in fact, especially when purchased for a team by a web development agency. 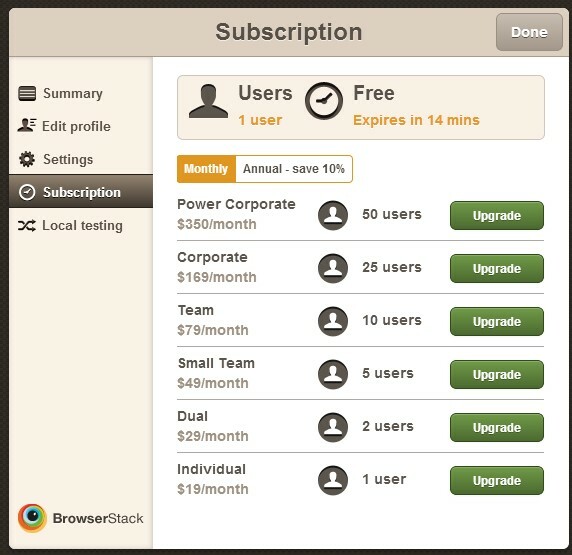 As an example, a small agency could outfit their whole team of developers for $79 per month. And there’s even a handy plug-in available for Chrome and Firefox! If your team adopts BrowserStack as part of their regular development cycle, it could be considered the best new tool since Firebug and the Red-Gate toolbelt!